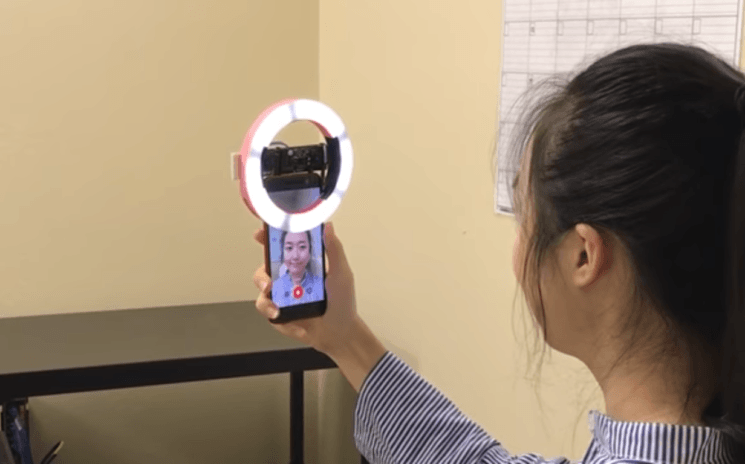 The Bellus3D Face Camera is an add-on camera for Android devices. It measures 500,000 points on your face to create a high-resolution face model in only a few seconds. And more importantly, it’s pretty accurate. It combines DepthShape™ technology, which reconstructs 3D shape of your face; and PhotoShape™ which captures fine face details. You can add a LED ring light to ensure the camera captures your face with perfect lighting and detail. You may wonder what use you would have from a 3D selfie. Apart from pure fun, Bellus3D suggest some possible applications of this technology, such as 3D virtual make-up, to see if you can pull off a certain make-up style. I would totally use this before I make myself look like a clown next time. Apart from make-up, you can try on various accessories, such as eyewear, wigs and even clothes. Then, they believe it can be applicable for cosmetic surgery, to show the patients before and after results before they opt for the surgery. They also suggest 3D printing of your face, which can be, just like 3D selfies, done purely for fun. I am already imagining some funny real-life face swaps. Another possible application is customizing a character in a video game or VR world. Now, some video games already offer this option, but we’ll see if Bellus3D will give more accurate results. Finally, they suggest the use of this camera for 3D facial recognition. As soon as the first quarter of 2017, the camera and its Android SDK will be available in limited quantity to third-party developers to create their own applications. As for the rest of us who just want to play with it, it will be available at the end of 2017 for the price of $300. Would you buy this camera? What would you use it for? Share your thoughts in the comments. SHUT UP AND TAKE MY MONEY!!! Aside from the obvious fun factor, there are so many commercial possibilities. I know this isn’t new tech as there are already 3D scanners out that can do what this does and probably do an even better job but they are either bigger or more expensive or both. This scanner is so small and portable that it would make it so much easier to make client calls. That picture of the guy with the mask blew me away. If that’s the quality a 3D printer can come up with from a phone’s camera, color me impressed.